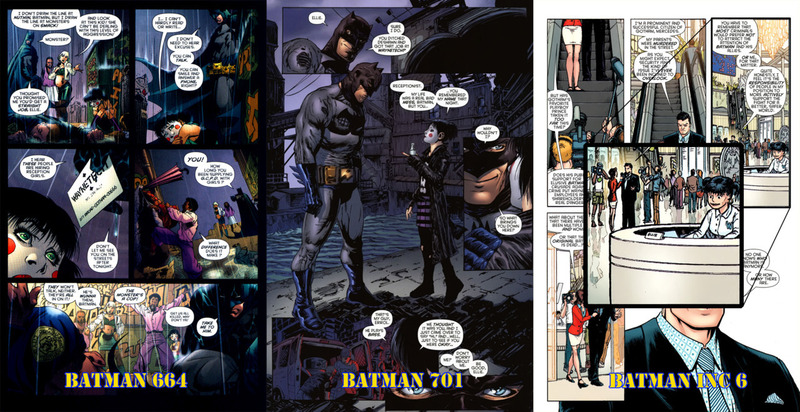 Here’s a neat set of moments from Grant Morrison’s Batman books. In Batman 664, Batman meets a young prostitute, Ellie, and tells her to call Waynetech for a job. In 701 (wearing his back-up mask), he sees her again, who says she did get the job. In Batman, Inc. 6, you see her at the reception desk.